Pros demand the best in tackle and Black Bart takes that responsibility very serious when designing rods for the professional. Their Blue Water Pro Series line of rods meets every Pro standard they can think of. Heavy duty high load rods, top of the line hardware, ball bearing guides, high density hand formed grips and perfect guide to rod alignment. 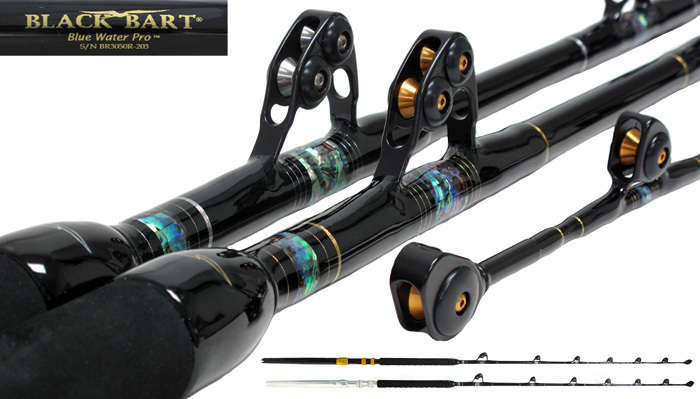 All Black Bart Rod Weaponry rods work the fish not the angler, dare to compare find out for yourself why more and more pro's fish their new D.P. Ltd rods. They are like no other rod you will find and in a class of their own.